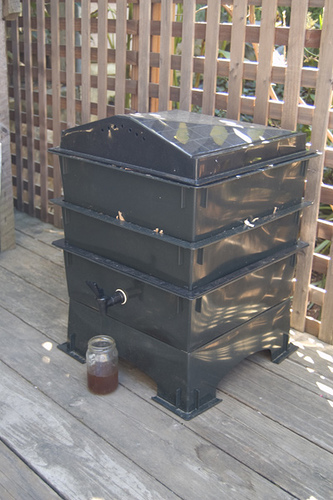 So you desire a compost container for your backyard. No problem. It’s important to determine what sort of compost container you are looking for. Do you want a spinning or rotating bin, an open bin in the backyard that you just throw stuff in, or do you even want to venture down the homemade route? Well, let’s take a look at the different styles of bins/compost containers to help you come to a decision you are happy with, shall we? 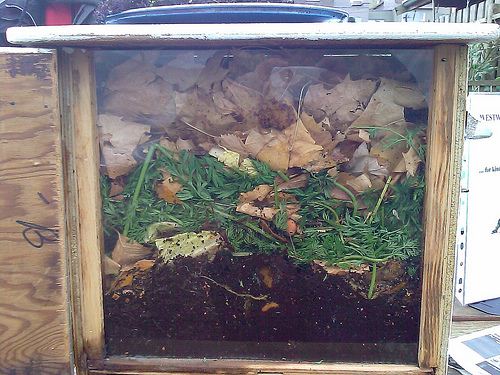 These composters are nice because they make compost in little to no time, by comparison. They are typically above ground, and you place the compost in, spin it, and in anywhere from 3-8 weeks (depending on the composter), you have some rich, luscious, black gold for all of your gardening aspirations. That’s nice. These bins work in such a fashion that it’s easy to load compost in, keep it covered (so you don’t have to work extra hard to keep pests, animals, and rodents out), and you can reap the benefits of great compost in the end. These compost bin systems are really nice, especially if you are looking to producing large amounts of compost. 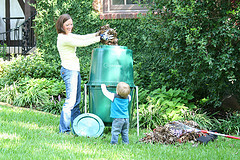 The basic concept is to have a few different compost bins that can be representative of the different stages of compost. Because of this, you can have multiple compost piles going at once. If you so desire (and have a lot of waste – and we mean a lot) then you could essentially have a few compost piles going at the same rate. In any case, a multi-bin system is perfect if you have a lot of work to do, and know for a fact you will need large amounts of compost. Photo found on Flickr.com courtesy of LAJ2006. 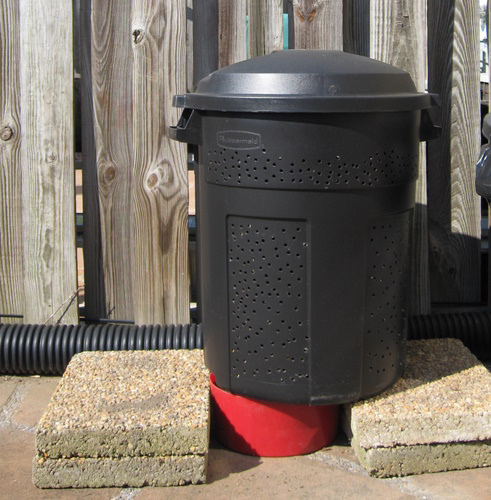 The wire compost bin can be easy to make – all you need is wire, wire mesh, and some stakes. The bin is just what it sounds like – a wire mesh area that sits in the lawn and you make compost with it. 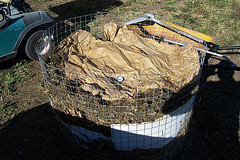 Since it is wire mesh, it keeps the compost aerated. It is easy to construct, and simple to maintain. If you are worried about animals, however, there is a greater chance that they may be able to get into the bin and mess with any of the compost. If that is a risk you are willing to take – these bins can be quick and easy to getting you on the way to making some compost. There is a great book, titled Basic Composting: All the Skills and Tools You Need to Get StartedA that shows you how to construct this style of bin with ease. Photo found on Flickr.com courtesy of Katxn.